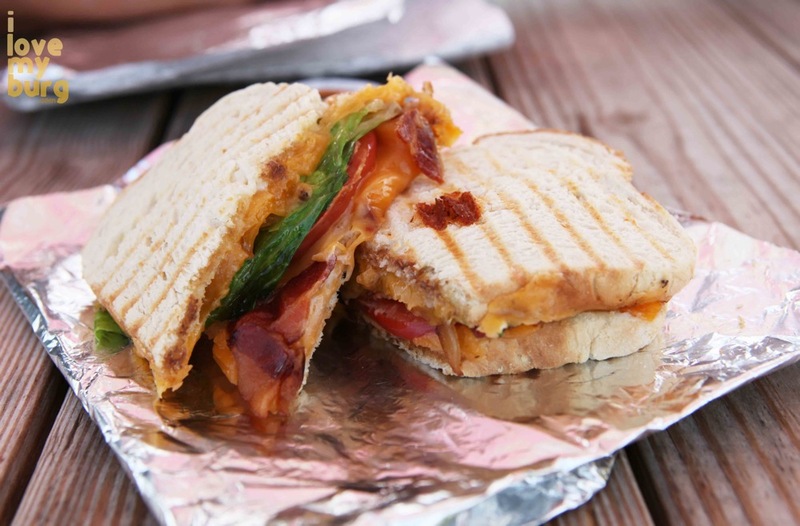 comfort station: grilled cheese mania. | i love my burg. 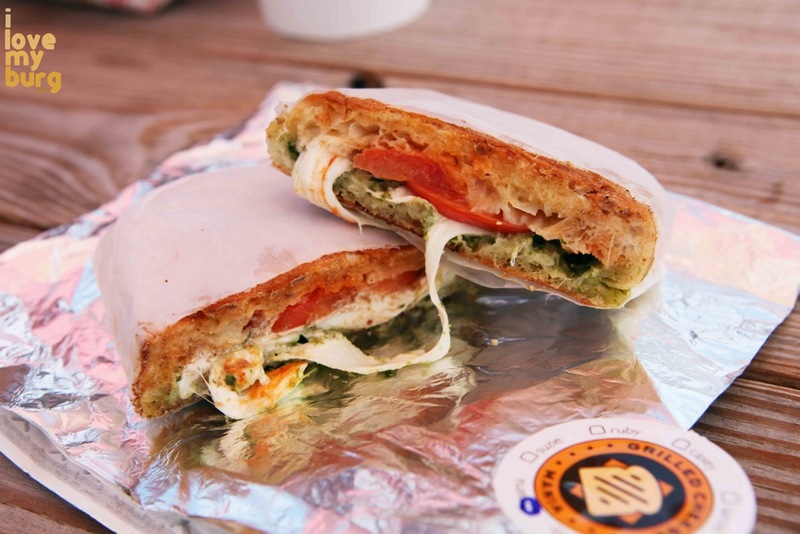 comfort station: grilled cheese mania. The last week or so has presented me with events that fall into the category “It Could Have Been Worse.” First, my cell phone started acting up. Well, wait, FIRST, I thought everyone in my world was ignoring me because I hadn’t gotten any texts or calls all day. Thankfully, that wasn’t the case; it was my lame phone. (I have a three-year-old Samsung slider that AT&T gave me for free when my previous lame phone finally pooped out.) On further investigation, however, it WASN’T my lame phone; it was AT&T’s tower. Aha! So, it could have been worse: I could have had to buy a new phone. Or get new friends. I have a small TV in my bedroom. I actually watch it more than the big one in the family room because I’m usually in bed before I get a chance to watch any TV at all. A few days ago, the color started wigging out, and now everything I watch is gold and blue. But… the TV’s not dead; it could have been worse. And the real kicker happened Sunday, when my son was pushing some other kids on a bench-style swing, and he somehow tripped and got tangled up underneath it and gashed his head open. Blood. Lots of blood. I threw my lame phone at some lady who called 911, the ambulance came, and we scooted to the ER. He’s fine. He has staples in his scalp, but he’s fine. It could have been much, much worse. In fact, after I knew Cal was okay, the hospital visit was actually enjoyable. Everything went very quickly, the doctor was excellent, and our nurse was pleasant and funny. She’s worked as an ER nurse at RMH for 37 years. She had to wrap Cal’s head in this big, white, gauzy apparatus, and she told him enthusiastically that he would be King Cal for the day and wear “this cool crown!” And then she laughed and said, “Who am I kidding? You’re gonna look like a Q-tip and there’s nothing I can do about it!” Meanwhile, Michael and the other four kids waited patiently in the lobby and greeted Cal with cheers and hugs and a giant stuffed shark when he emerged through the double doors. Really, it could have been much worse in many ways. Monday morning I washed the dried blood out of my son’s hair and then met Brandy and her kids for some comfort food. Between my near-disasters and her Art Lotto event quickly approaching and 4287473892 photos to edit, the two of us needed some ding dang comforting! 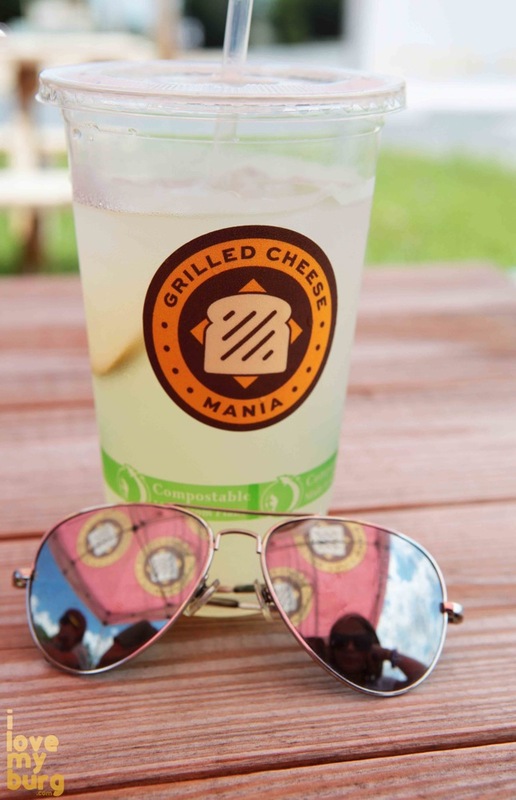 We met at Grilled Cheese Mania and my mouth was watering before I got out of the car. 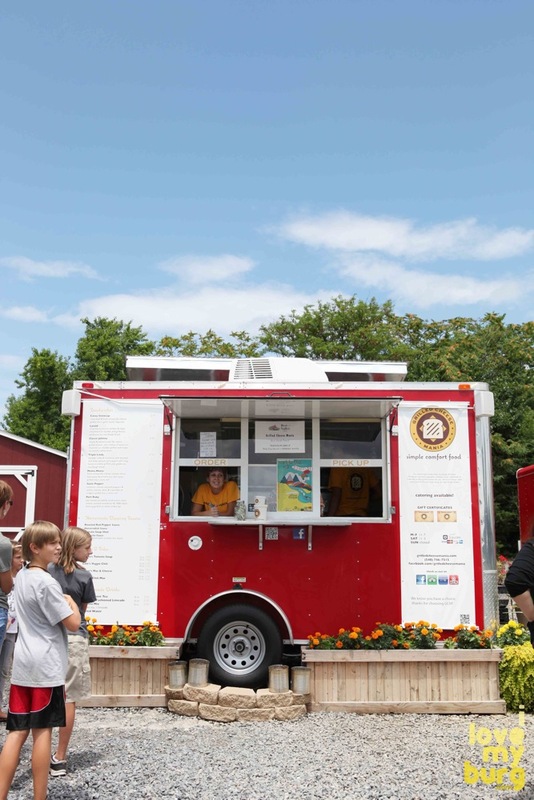 Owned by Kathleen Mania-Casey, the truck has been in operation less than a year and has already been ranked by Tripadvisor the BEST restaurant of 108 in Harrisonburg, and voted Best Food Truck 2013 by Harrisonburg residents. I stared at the menu for quite some time while the girl at the window waited patiently, smiling. Choosing was excruciating, because I wanted them all, but I decided on the Larold. My kids got Classic Johnnys, Brandy got the Mama Mania, and Blake got his with tomato. 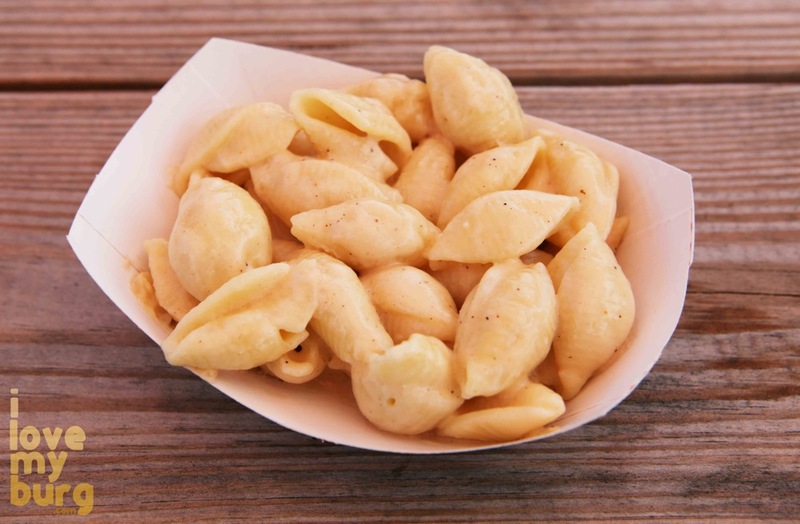 We also got a couple sides of mac & cheese, and Kathleen was gracious enough to let us sample the chili and the tomato soup. Both are excellent. I especially like the tomato soup. 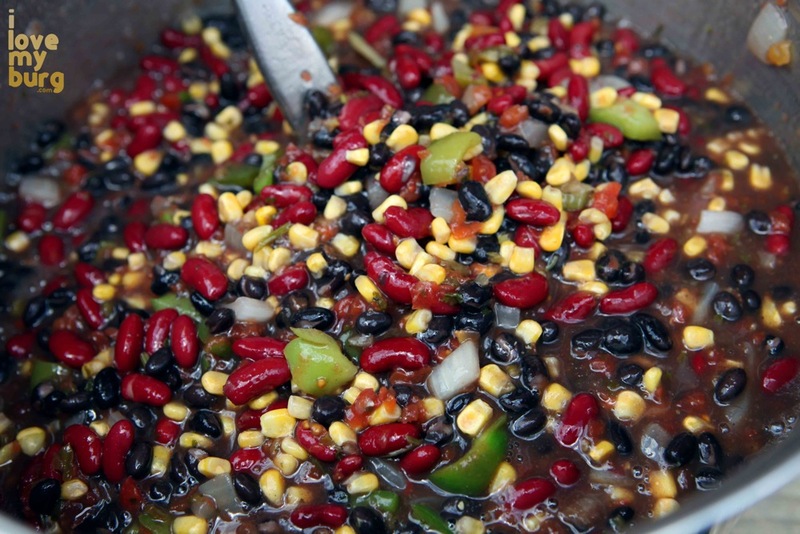 Some say its flavor smacks of pizza, but I think it’s about halfway to salsa. Kathleen’s niece was visiting and helped her aunt serve our food under the tent where we sat. 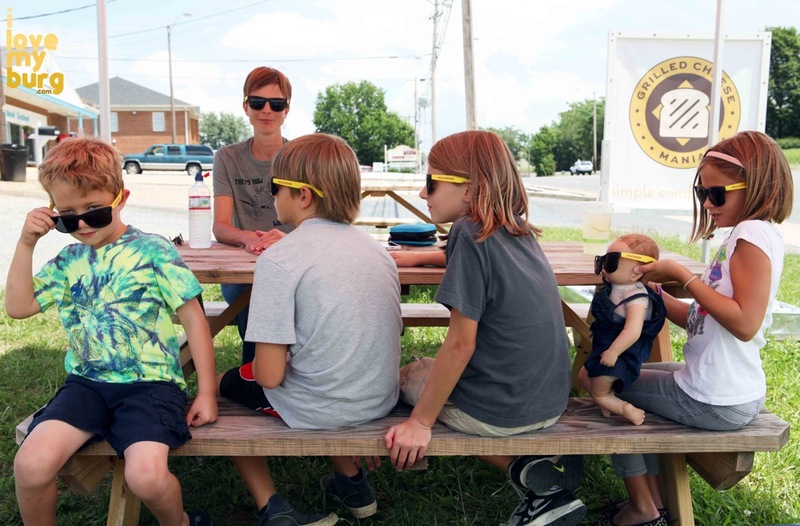 And we each got a pair of official GCM sunglasses, which the kids happily put on so they could all be fully expressed as the maniacs they are. 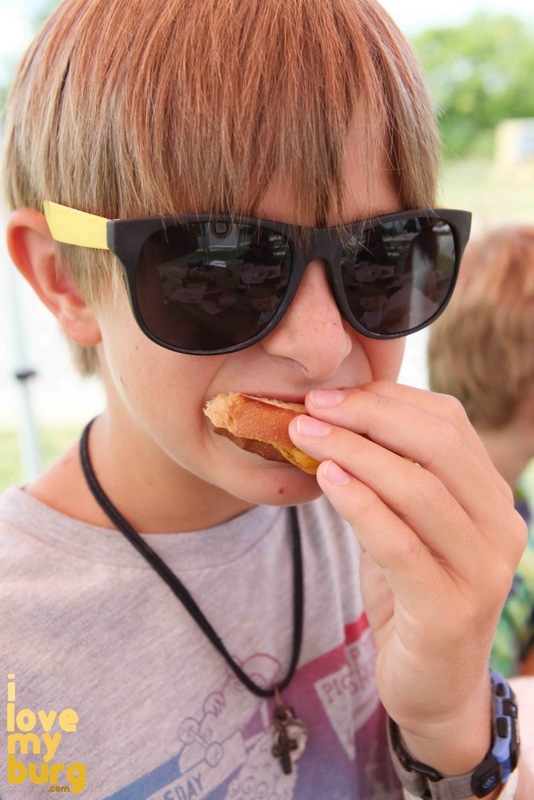 We gobbled our sandwiches in relative silence. 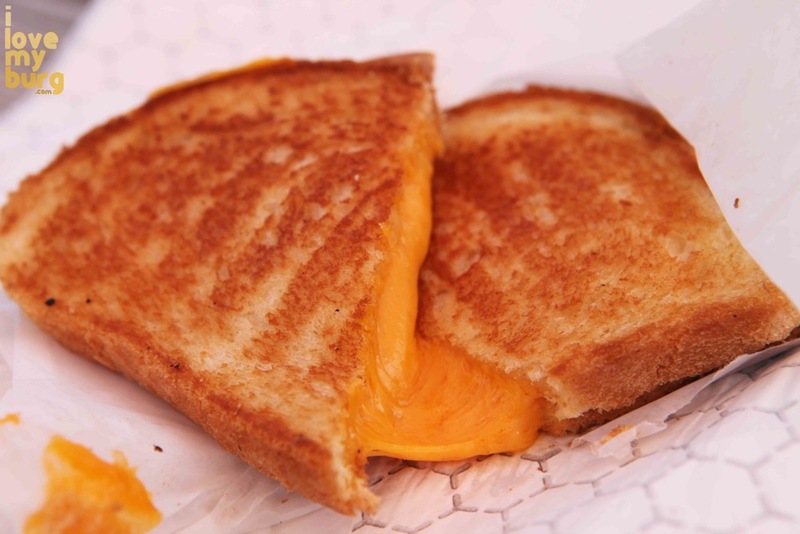 “Simple Comfort Food” is the perfect slogan for Grilled Cheese Mania, because there is something uniquely nostalgic about a grilled cheese sandwich. Every time my mom visits, she wants a grilled cheese sandwich and a bowl of tomato soup. And when I sit down and eat it with her, I’m six years old again, not worrying about cell phones or deadlines or scalp infections. You know that scene in the movie Ratatouille when Anton Ego takes the first bite of Remy’s ratatouille and is instantly transported back to his mother’s kitchen? It’s like that. 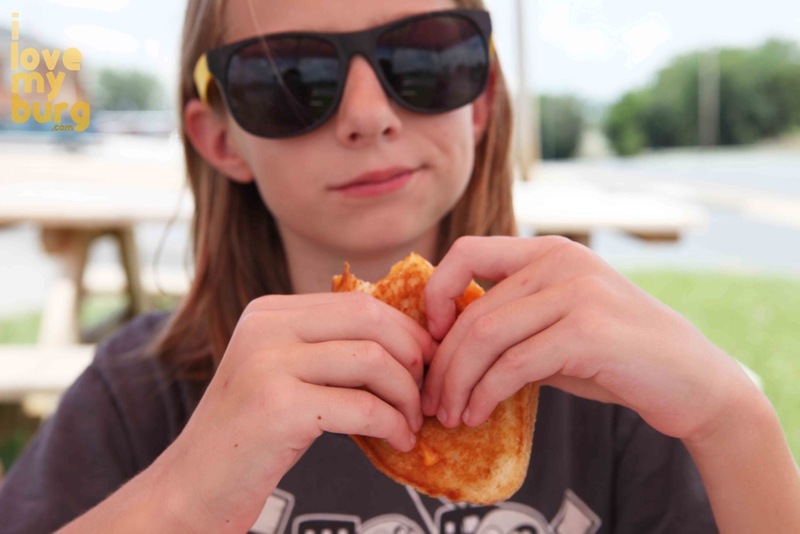 You simply cannot be UN-comfortable when eating a grilled cheese. And Kathleen’s sandwiches beat the heck out of any grilled cheese I’ve eaten or made. 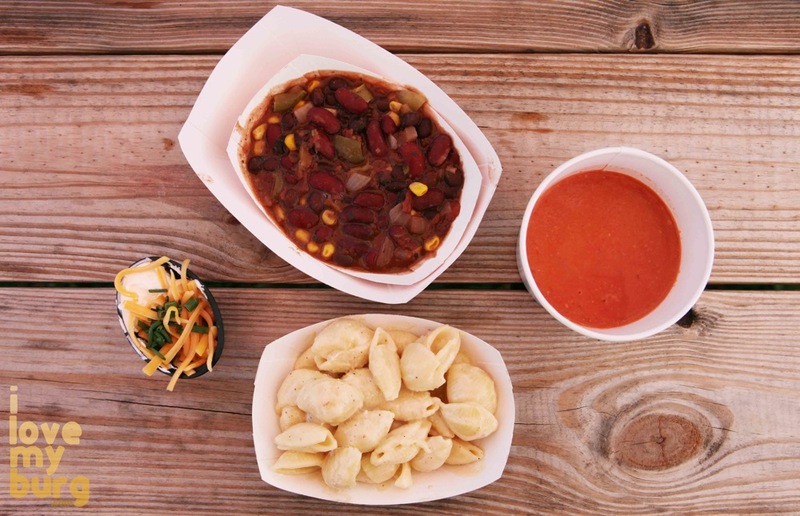 Everything on the menu is made from tried and true family recipes using only the freshest ingredients. Kathleen’s goal is for her customers to be happy. My guess is she means not just happy with their order, happy with their food, but happy altogether. Like a true mom would. 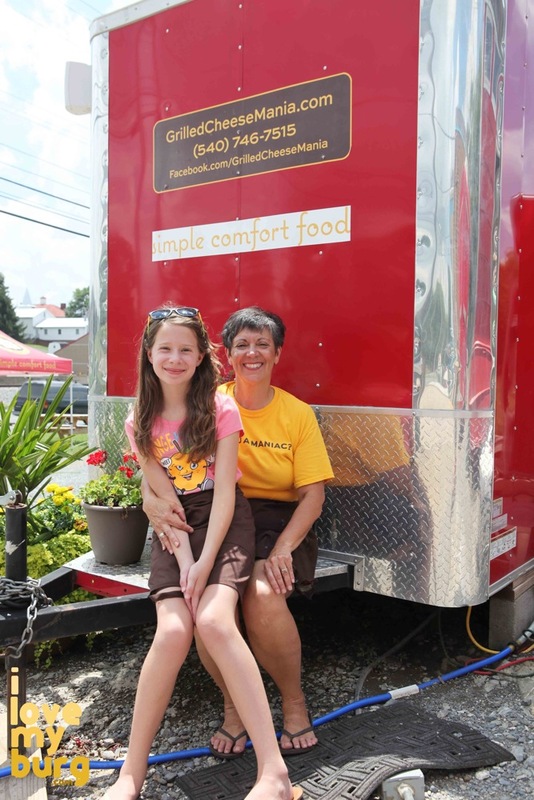 When you miss your mom and need a little comfort, know that Grilled Cheese Mania is just down the road. Or, when you just want a really good sandwich. After a trying week of bizarre events, FINALLY, something couldn’t have been BETTER. 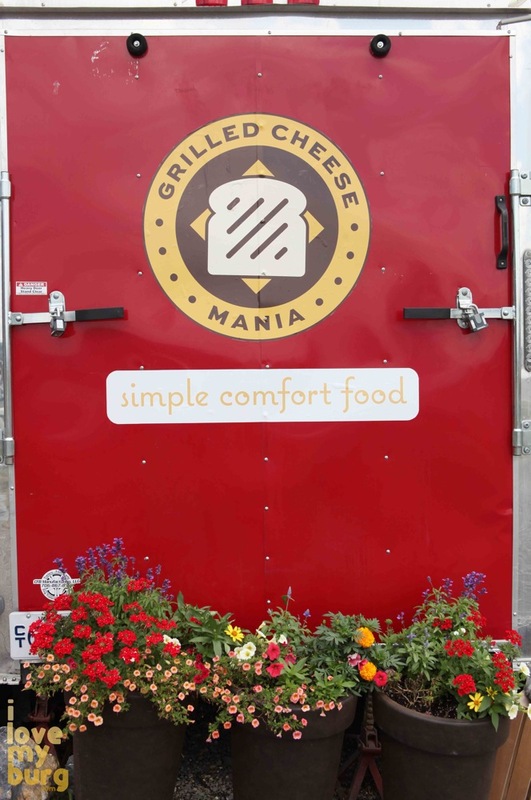 Grilled Cheese Mania is located on Rt. 42 south, between the Food Lion shopping center and Tangier Seafood. Go hungry. 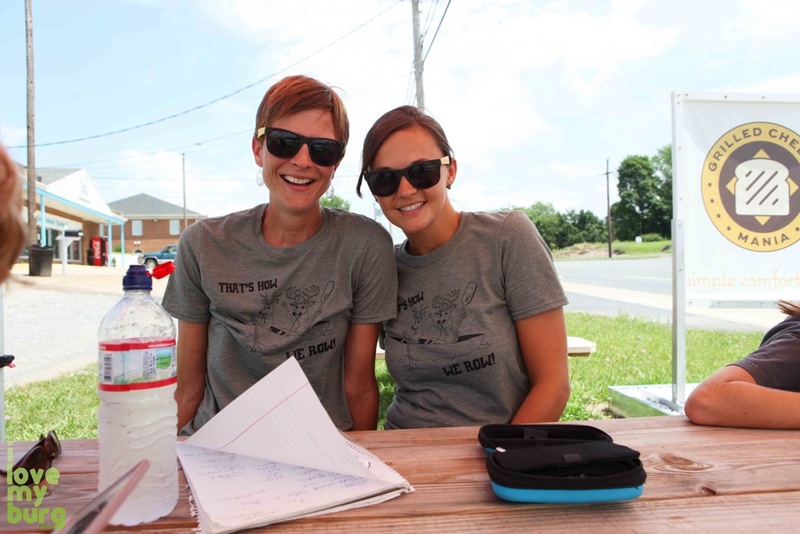 This entry was posted in burg on a budget., food, kids and tagged Brandy Somers, cheese, chili, dinner, food, Grilled Cheese Mania, Harrisonburg Virginia, Katie Mitchell, local food, lunch, restaurant, sandwiches, soup by junebug. Bookmark the permalink. Pingback: wheely good: trucks. | i love my burg.i love my burg.